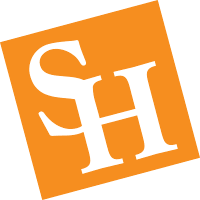 Sam Houston State University’s College of Business Administration offers high-quality, price-competitive graduate programs: three advanced degrees and a fully accredited Executive Master of Business Administration Degree. Accredited by AACSB International, our graduate programs serve both traditional and non-traditional students wanting an affordable and flexible education that meets their personal and professional goals. Executive Master of Business Administration in Banking and Financial Institutions Two 2-week in-residence sessions; The rest online with professors.